Dennis R. “Slick” Ruppert, 74, of Wapakoneta, passed away at 2:13 a.m. Saturday, January 6, 2018 at Wapakoneta Manor. He was born on May 20, 1943 in Little Rock, AR to Raymond E. & Rosemary (Hamp) Ruppert who preceded him in death. 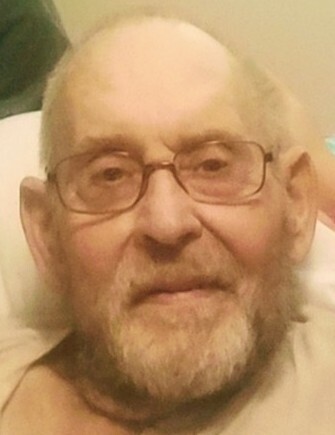 He is survived by his two children; Kathy (Greg) Chambers of Marysville, Jeff (Missy) Ruppert of Wapakoneta, five grandchildren; Derek (Amber) Chambers, Devin Chambers, Shelby Ruppert, Mia Bartlett, Marshall Bartlett, six great-grandchildren; Leyton, Rozelyn, Gweneth, Wesley, Kyiah, Abrey Chambers, two sisters; Diane (Jim) Debell, Shelly (Scot) Bertram and a brother Gregg (Joni) Ruppert. Slick retired from G.A. Wintzer and Son Co. with 50 years of service as a truck driver. He was a member of St. Joseph Catholic Church and the Wapakoneta Eagles #691. He enjoyed riding his bicycle, watching westerns, the Cincinnati Reds and Bengals, the Ohio State Buckeyes and dearly loved his dog “Coco.” Most of all he enjoyed talking with everyone and never knew a stranger. Funeral services will begin at 11:30 a.m. Wednesday, January 10, 2018 at Schlosser Funeral Home & Cremation Services, Wapakoneta with Rev. Steven Nelson officiating. Friends may call from 4-8 p.m. Tuesday at the funeral home. Burial will be at a later date at St. Joseph Cemetery, Wapakoneta. In lieu of flowers memorial contributions may be directed to the Wapakoneta Eagles #691.